The posh, residential Upper East Side is sleek, chic and classic NYC, known for its wealthy denizens, fancy restaurants and cultural institutions. It’s a pretty neighborhood with a mix of classic brownstones and tree-lined streets. This has essentially been the height of luxurious living, with it’s convenient location only adding to its upper-crust reputation. However, in recent years the high rents have fallen making it quite affordable. As it stands, the Upper East Side is one of the best areas in NYC when it comes to getting true value for your hard earned cash. The Upper East Side encompasses everything between between 59th to 96th Street that runs east of Central Park, from Fifth Avenue to the East River. 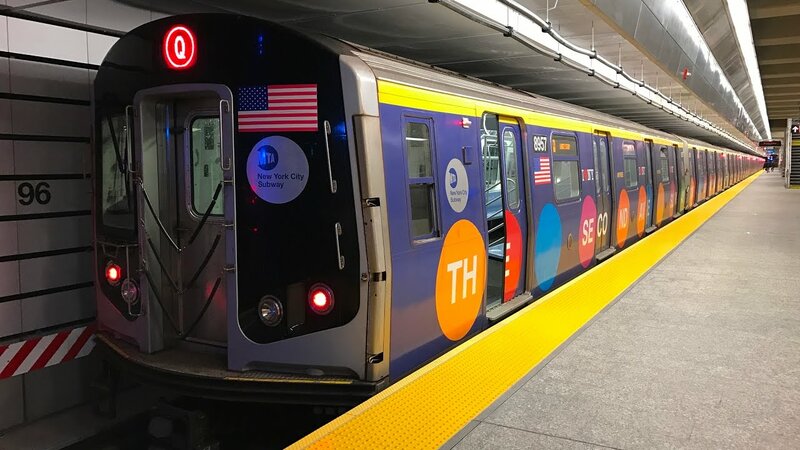 You can get to the neighborhood by catching an uptown 456 or Q train and jumping off at the any number of stops beyond 59th Street. Easy huh? Occupying 11.5 acres of space, The Metropolitan Museum of Art aka The Met, is New York’s largest museum to this day, having first opened in 1880. It is astonishing in both quality and scale. Despite its size, it is surprisingly easy to negotiate, particularly during off-peak hours. However, it would take multiple visits to fully appreciate its vastness, with over 5000 years of art from every corner of the world housed within its walls. Hang out in an Egyptian temple, gawk at avant-garde fashion and take pictures on the gorgeous rooftop garden, which showcases views of Central Park and the city skyline. While the Guggenheim’s collection of modern art is certainly impressive, it struggles to free itself of its own home. Much praise and recognition is devoted to Frank Lloyd Wright, the architect of the Guggenheim, for its brilliant and controversial design. 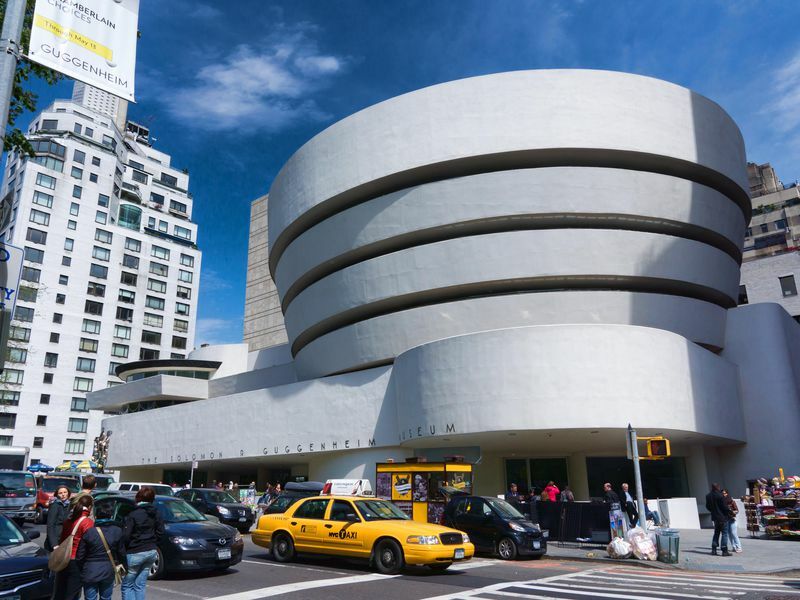 Having first opened in 1959, the Guggenheim did not conform to the clean square galleries cherished by the Upper East Side, but instead broke all the ‘rules’ and created its own. Wright fashioned a gallery space that allows a seamless transition of art along a flowing, winding spiral with little in the way to separate artists, ideas or time periods. This unorthodox approach magnifies what you see visually and conceptually. But don’t let yourself spiral out of control, set time aside to visit the small rooms of the main rotunda. There’s a Picasso painting or two. Other notable mentions include: Jewish Museum, Cooper-Hewitt National Museum of Design, and the National Academy Museum and School of Fine Arts. 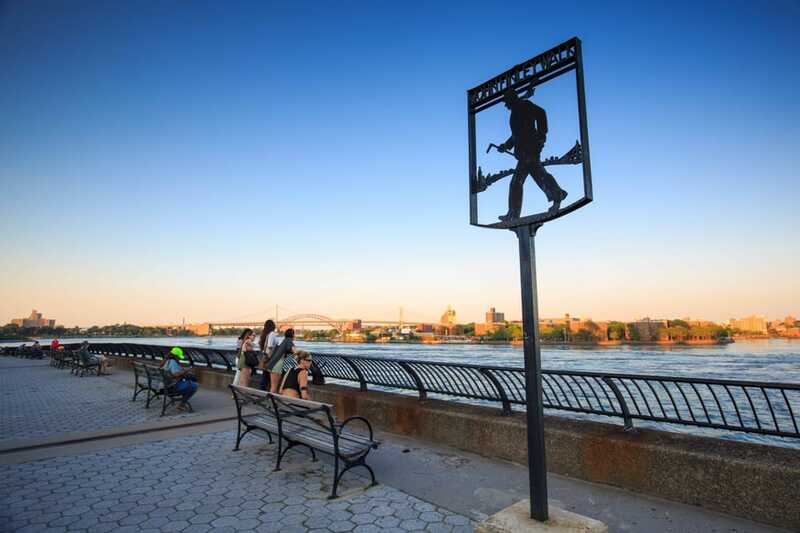 Carl Schurz Park - although it is comparatively smaller than its big brother on Fifth Avenue, it still has a range of amenities to entice you along. Lying on the bank of the East River, it grants you stunning views of the water, the Roosevelt Island Lighthouse and Gracie Mansion. There’s also a playground, a roller hockey rink and my personal favorite, not one but two dog runs. C’mon people, dog runs! The Upper East Side can lay claim (with other neighborhoods) to New York’s most famous park, Central Park. Sprawling across 843 acres and attracting 40 million visitors annually, it is one of the most iconic parks in the world. The close proximity of the Upper East Side to Central Park really is a big selling point. It is home to everything from an ice-skating rink to a swimming pool, a zoo to a boathouse and even hosts events like the New York City Marathon and concerts in the summer months, along with all the normal park stuff (picnics, walks, lounging around you know). It truly is the perfect perch! The Upper East Side may be thousands of miles from Europe but a trip to Beyoglu will make you feel like you’re in the Mediterranean. The stylish decor is offbeat and charming - like that local you check out on vacation, and the food is just as authentic. Start with the Kalamar Tava (calamari) to start you on your tasting voyage. Follow that up with the Iskender Kebab - vertically grilled lamb and beef on a bed of pita bread, topped with yogurt and tomato sauce. Sit back, relax and breathe in that fresh Mediterranean air. If you’re not in the mood for Mediterranean cuisine (or you want to sample as much food as possible), JG Melon is the move. A stalwart of the UES, JG Melon has been around since 1972 and has ties with many locals in the area. You’ll often hear the staff greeting customers by their first names, that’s how well loved this place is but until you’re on that level, you may find the service to be a little rushed as it will inevitably be busy. JG Melon takes classic American fare and does it to perfection. Order the Bacon Cheeseburger and Cottage Fries to get a sense of what a real burger and fries should taste like. You’ll love it so much that the staff will soon start greeting you by your name! Other notable mentions include: Flora Bar, Sushi Seki Upper East Side, Daniel, and Eastfield’s. You may be familiar with Eli Zabar’s daytime gig but did you know about his latest venture with his son? Zabar has expanded his empire with a drinks den moonlighting in the space of Eli’s Essentials. At 6pm every night, Eli’s Essentials takes the form of Eli’s Night Shift, a space that specializes in cocktails and craft beer. This transformation makes for the perfect post-work/pre-dinner drinking spot. Note: We highly recommend asking the barkeep about The Bartender’s Choice and let them work their magic. The Stumble Inn - this aptly named bar is a loud, loutish rec room for the wrecked, yet it still makes the list of NYC’s Best Bars. 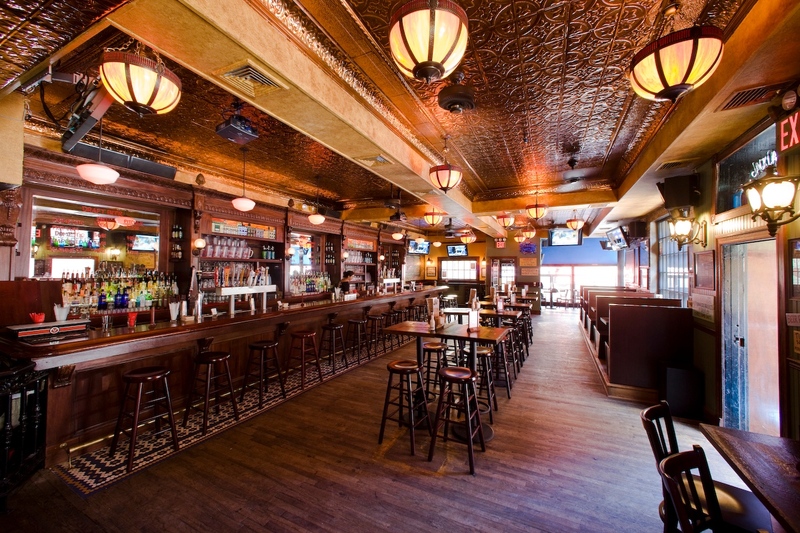 It’s the perfect kind of sports bar that welcomes all, providing you don’t mind the madness. It’s laden with TVs which makes it a prime spot for when you’re trying to throw down but still want to catch the football. Even if there’s no games to be watched, drinking here is treated as a competitive sport so you better have your game face on. Take your pick from the extensive list of drafts (quantity over quality) but if it’s liquor you’re after, keep it simple and lowbrow. The ethos of The Stumble Inn: stumble in, stumble out. Other notable mentions include: The Penrose, Earl’s Beer & Cheese, & The Gilroy. If you didn’t catch the vibe already, the Upper East Side is all about glamour. It’s known for its insanely expensive boutiques but mixed in with those are some more affordable ones. Michael’s, The Consignment Shop for Women being a prime example of such. This family-owned shop has been in the haute couture recycling business since the 50s and is the ticket if you’re looking to snag some major brands at lowkey prices. 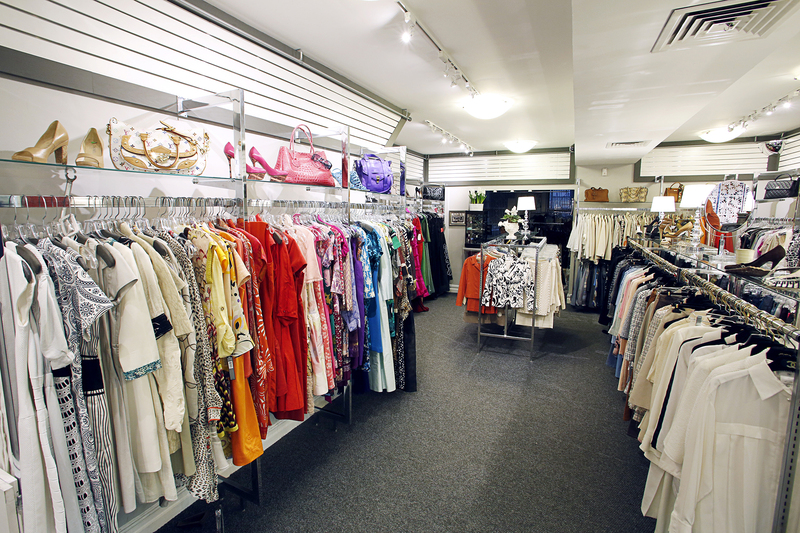 Prada, Dior, Dolce & Gabbana - just some names to don the racks that can be picked up from 70 to 90% off. Joie, on the other hand, is an example of the high-end boutiques. Hailing from Southern California, this cool and casual store is a one-of-a-kind. The polished interior is reminiscent of a classic Parisian pied-à-terre with some Californian sunshine constructed thanks to the wonderful artificial light. Although pricey, Joie offers true quality and is worth every cent. Even if you don’t plan on buying, it’s worth checking out the aesthetics of the space. A New York institution, Bloomingdales ranks among the city’s top tourist attractions, having been first established in 1861. This one-stop-shop caters for all, from bags to beauty products, homewares to designer lines. Whatever it is you need, you’ll find it here. Think you could fit in in one of the most classy neighborhoods in NYC? Then come along to our SpeedRoommating events in Manhattan to find your new chic residence! If you’re an Upper East Sider and proud, let us know some of your favorite things to do in the area!